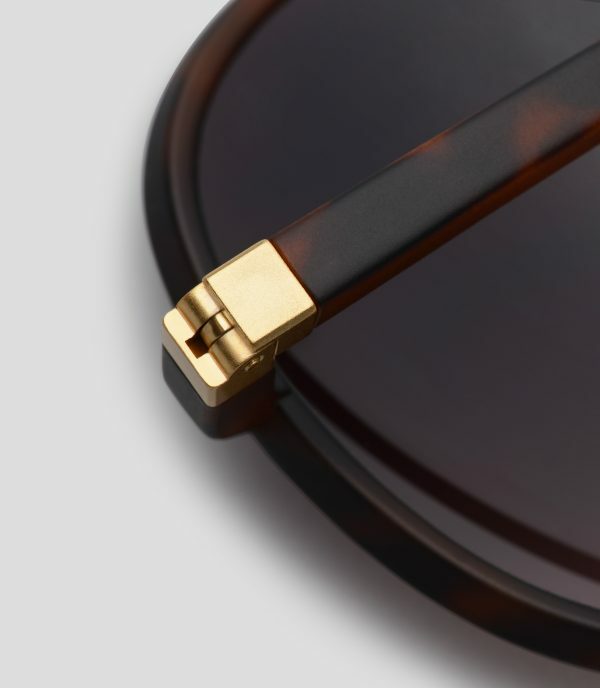 A statement style work of art, in a matt brown tortoiseshell with sleek gold tone finishing. 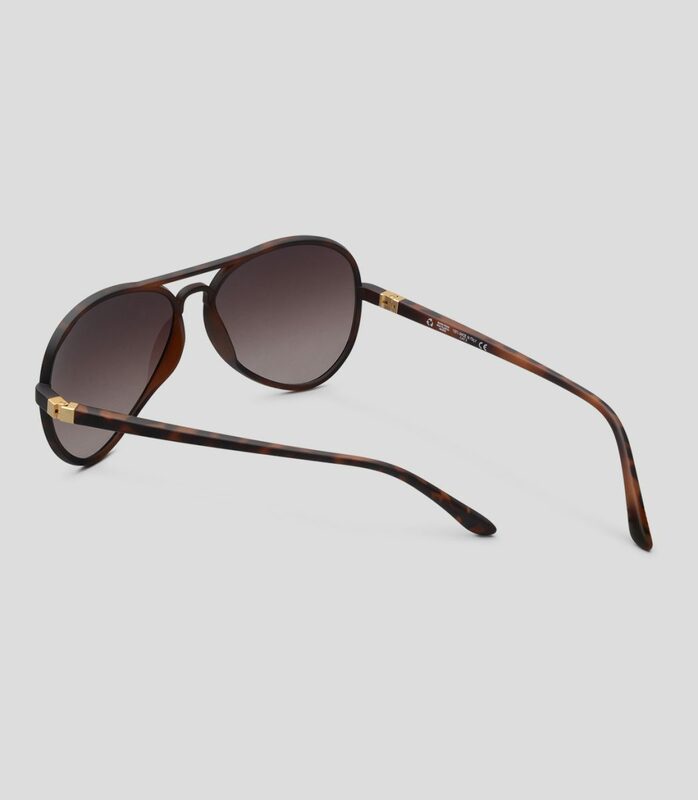 This aviator style is a timeless sartorial classic. 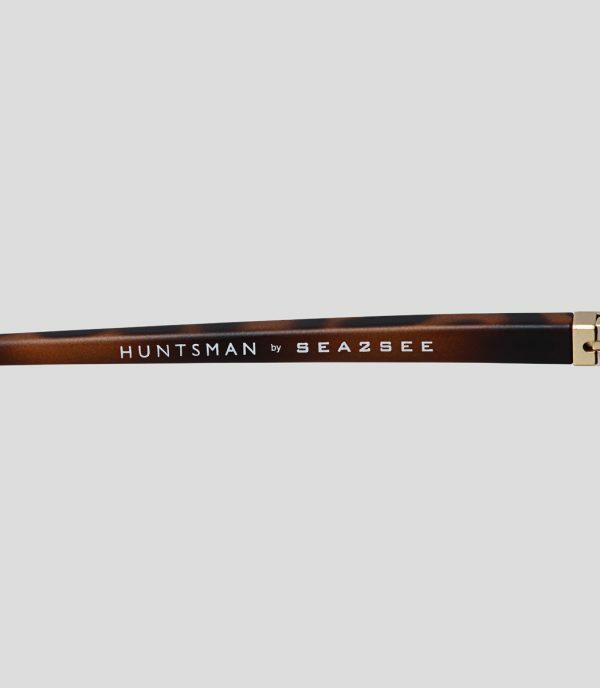 Part of Huntsman’s exclusive first eyewear collection, embodying the house style; classic yet innovative, comfortable but stylish, to be worn with grace and confidence, designed to suit the modern day Huntsman. 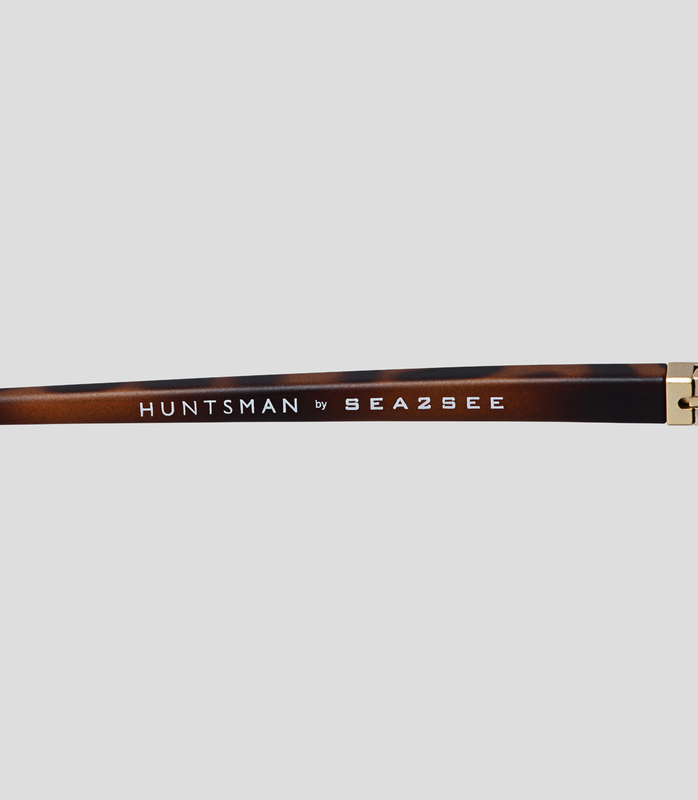 A collaboration with the innovative sea2see, these sunglasses are made solely from 100% recycled ocean plastic, designed to fit perfectly into the Huntsman’s wardrobe for both ladies and gentlemen. 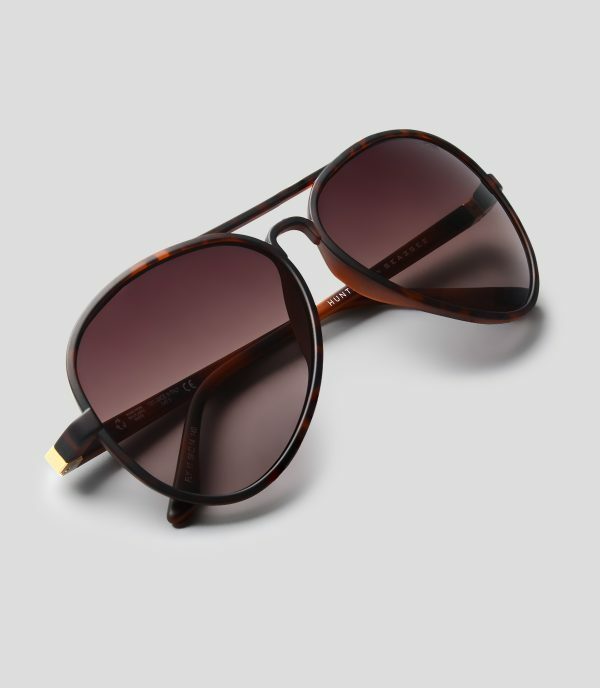 Fume Lenses: Uv 400 Cat 3 – 100% Ultraviolet Protection. 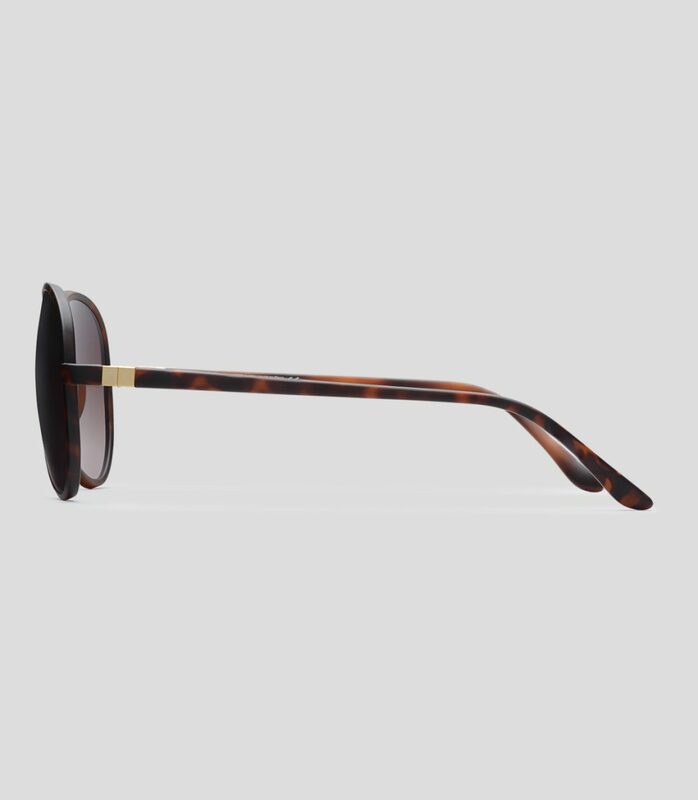 Frame: Made With 100% Recovered Marine Plastic. Light And Ultra Resistant: 24 Gr. Size: One Size Unisex Design. 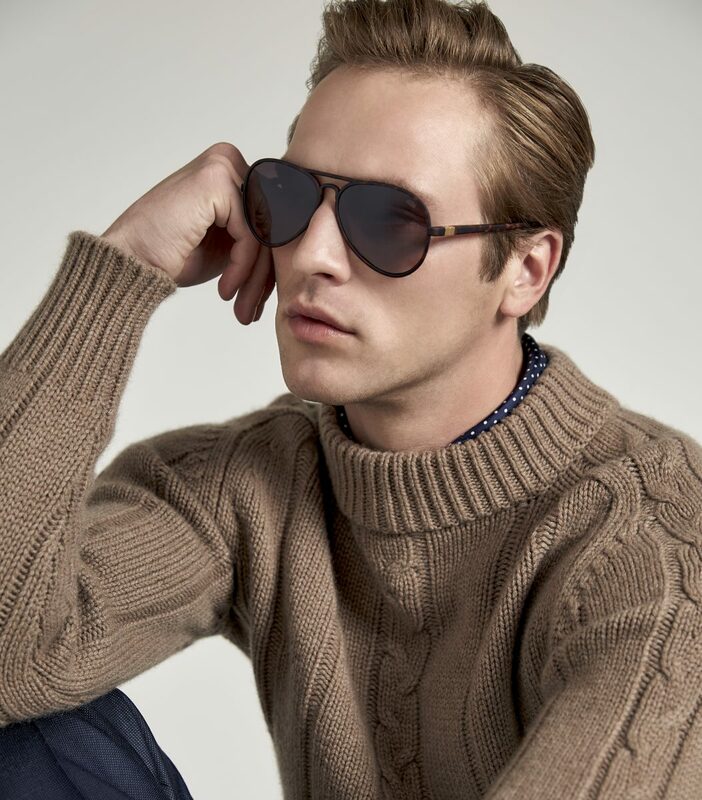 For its first sunglass collection, Huntsman teamed up with Sea2See who produce sustainable eyewear made 100% with recycled ocean plastic waste and abandoned fishnets. Whilst fulfilling the noblest sustainability objectives, the end product is a luxury eyewear.